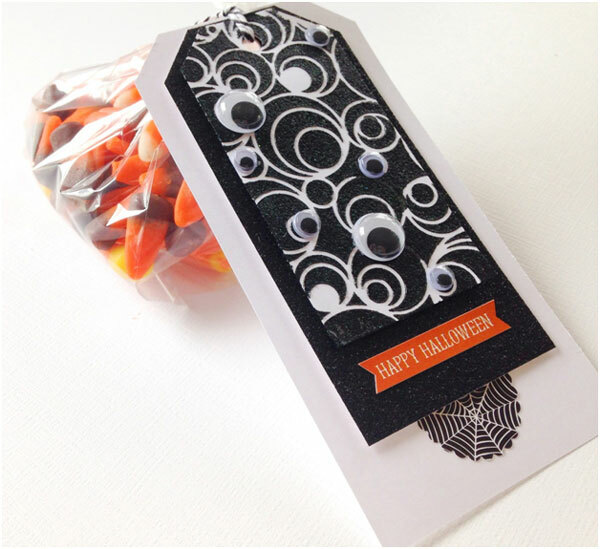 I love making tags almost as much as cards. 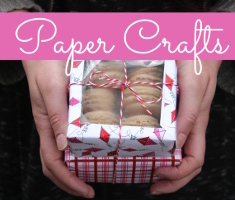 They’re quick to make and you can still use all your fun scrapbook and stamping supplies—just on a smaller scale! 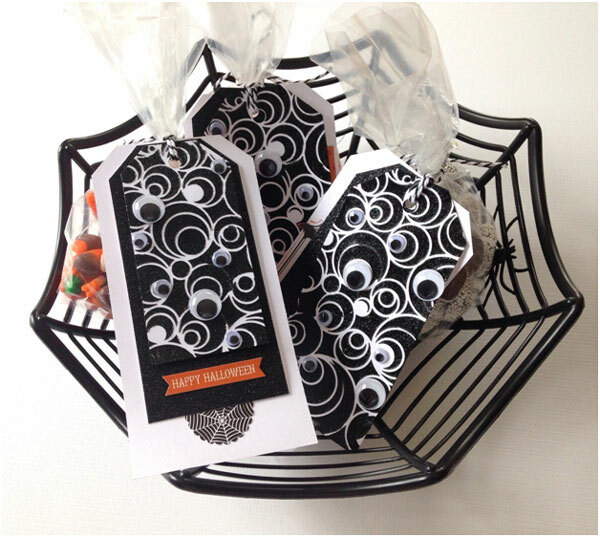 Halloween is always a fun time for tags because of all the fun candy treats you can attach them to. 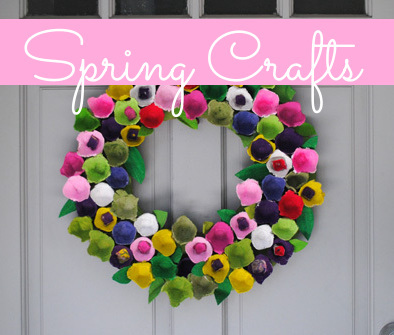 In today’s post I show you ways to use up those piles of “googly” eyes you may have hiding in your craft room. I know I have a ton and they seem to multiply. 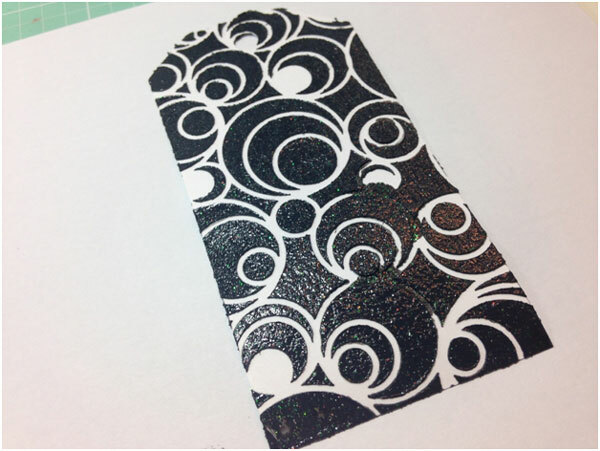 I started off with a stencil from The Crafter’s Workshop called Mod Spirals and laid it over a small white tag. 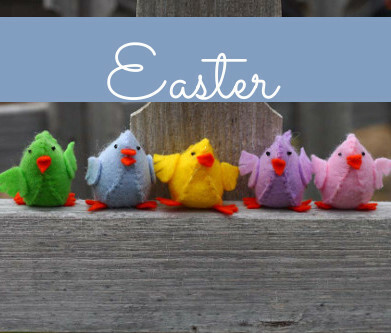 I used the middle sized tag as well as the largest tags from a pack of pre-made tags from Paper Accents. 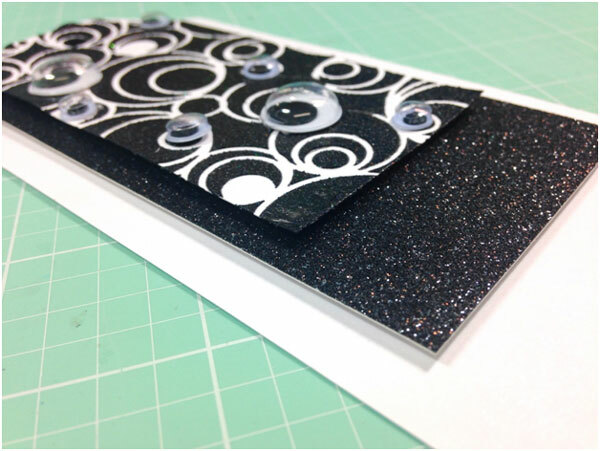 I layered on some black texture paste mixed with Bo Bunny Sugar Glitter Paste. This gives some fun sparkle to the dark paste. 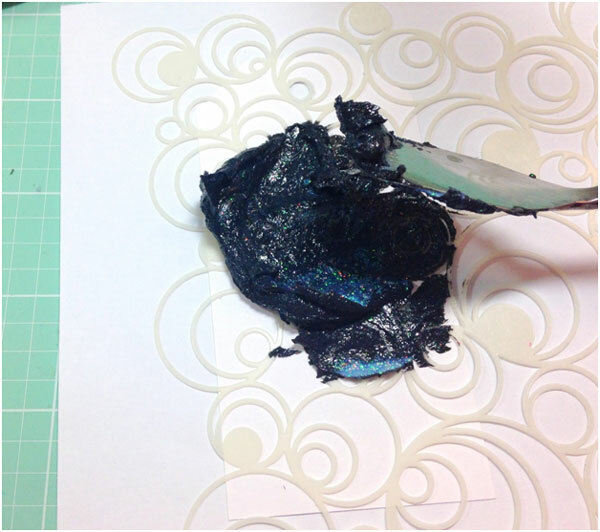 You can make your own black paste by using regular opaque matte texture paste and adding some black re-inker. 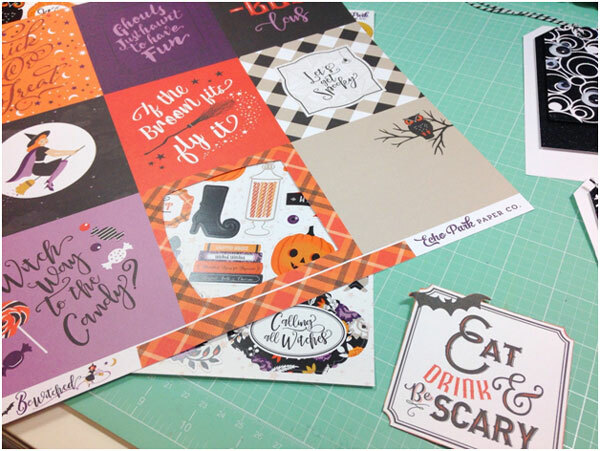 I used a gift card to spread the paste evenly over the stencil. 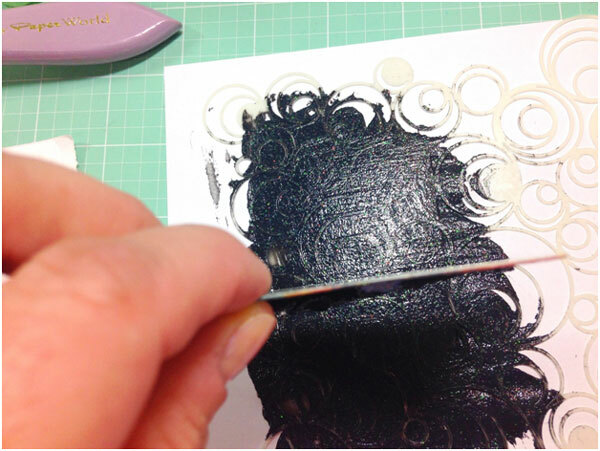 This stencil is a bit more intricate than most so you’ll want to be sure there are no missed spots. I was originally, going to keep this the way it looks here, but then I kept thinking the circles looked like eyes……. 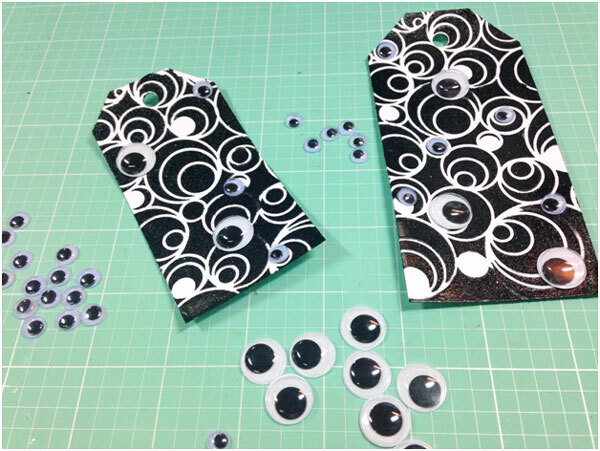 ……So I grabbed a few sizes of googly eyes I had in my drawer and added them to the circles. I arranged them following a downward pattern. I still have a ton of eyes left over LOL! 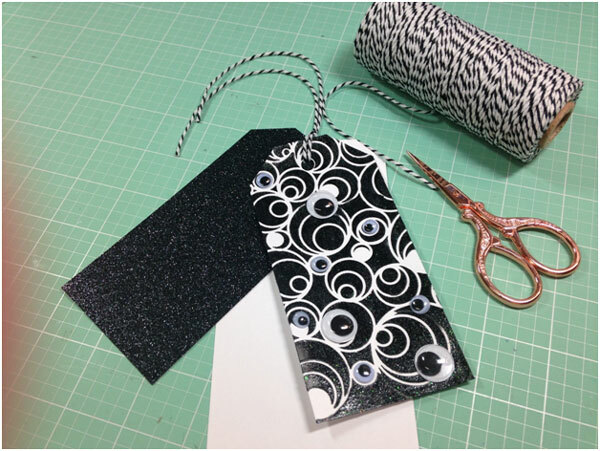 I layered my stenciled tags onto a large pre-made white tag stacked with a black glittered pre-made tag, both from Paper Accents. 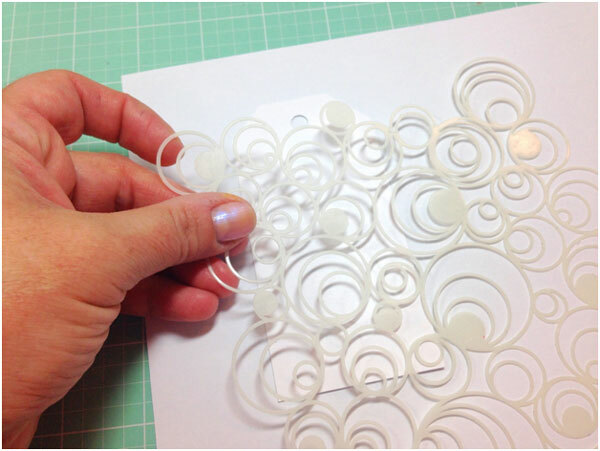 Some I secured with foam tape and others I kept loose. I added some black and white twine at the top of each. For a final embellishment, I cut out some pieces from the Echo Park Bewitched Collection Kit and added them to the large white tags. 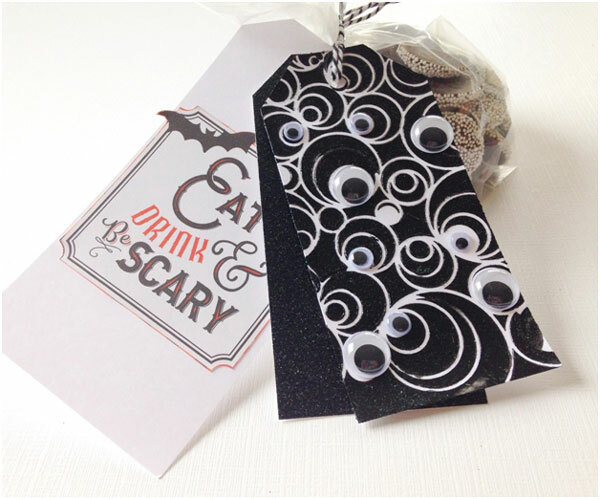 I also secured the loose glitter tags to the eyeball tags at an angle with foam tape. For the regular layered tag, I added a couple of stickers from the collection to the front. 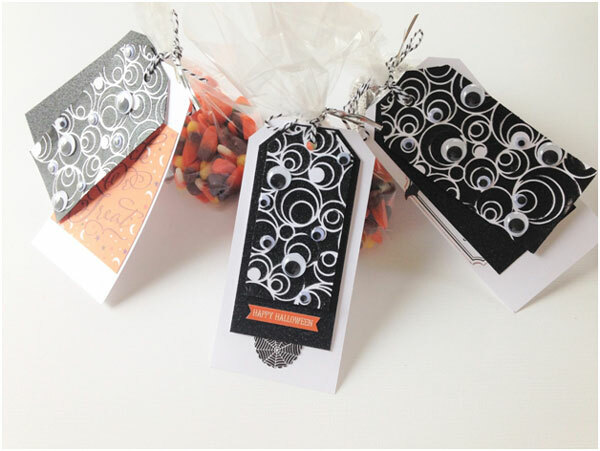 Just add your favorite candy to some treat bags, secure the tags and you’re ready to go. Thanks so much for joining me today and Happy Halloween! 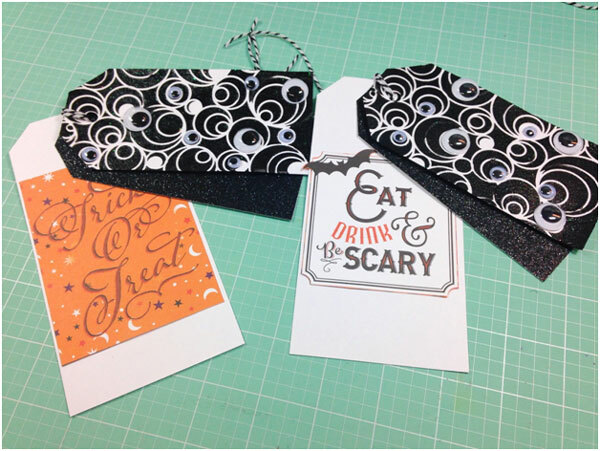 This entry was posted in Cardmaking, Halloween and tagged DIY Halloween, Glitter Paste, Halloween Tags, Stencils, The Crafter's Workshop on September 25, 2018 by Heidi.